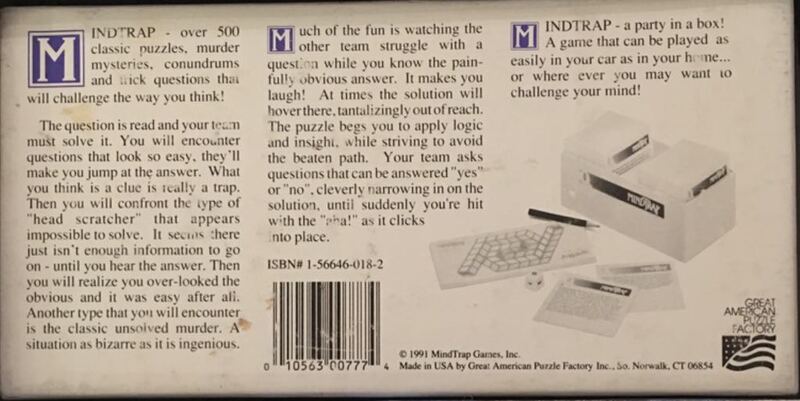 Description: Mindtrap--over 500 classic puzzles, murder mysteries, conundrums and trick questions that will challenge the way you think! The question is read and your team must solve it. You will encounter questions that look so easy, they’ll make you jump at the answer. What you think is a clue is really a trap. Then you will confront the type of ”head scratcher” that appears impossible to solve. It seems there just isn’t enough information to go on--until you hear the answer. Then you will realize you over-looked the obvious and it was easy after all. Another type that you will encounter is the classic unsolved murder. A situation as bizarre as it is ingenious. Much of the fun is watching the other team struggle with a question while you know the painfully obvious answer. It makes you laugh! At times the solution will hover there, tantalizingly out of reach. The puzzle begs you to apply logic and insight, while striving to avoid the beaten path. Your team asks questions that can be answered ”yes” or ”no”, cleverly narrowing in on the solution, until suddenly you’re hit with the ”aha!” as it clicks into place. 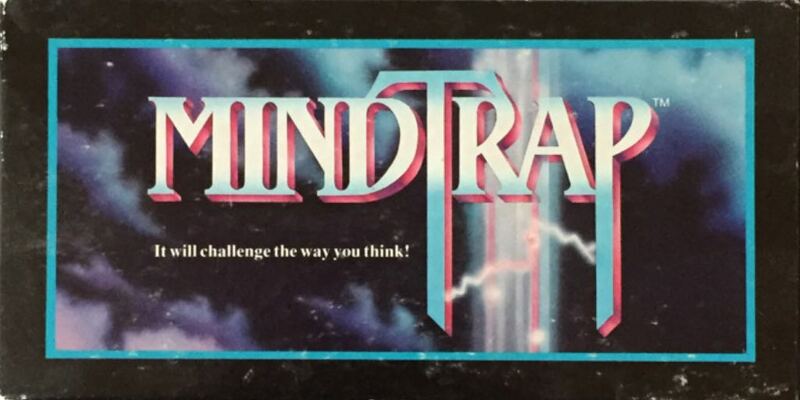 Components: 500 Mindtrap Cards (3.5”x3.5”). 1 white plastic 15mm six-sided die with numerals (0, 1, 1, 1, 2, 3). Score pad. Pencil. Rule sheet (English).